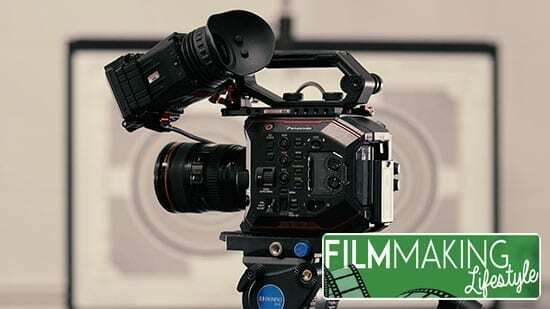 We’ve covered a lot on the site about videography marketing, especially in the Guides to Starting & Growing Your Video Business. Today, I want to jump deep into crafting your marketing message and really understand who you’re targeting your services towards. It’s time to start working on the message we want to communicate to our market. As we have already discovered, once we know our market and the services we want to provide to that market, we need a powerful marketing message to present to that market. From here on out, we’re really going to be engaging our creativity. It’s time to start crafting our message and looking deeply at our videography marketing. Now that we know who our target market is, we know all about them, and we’ve even put a name to a face by writing an Ideal Client Profile, it’s time to drill down and research even more in order to learn absolutely everything we can about them. Yes, I’m asking you to do a lot of research throughout this course. 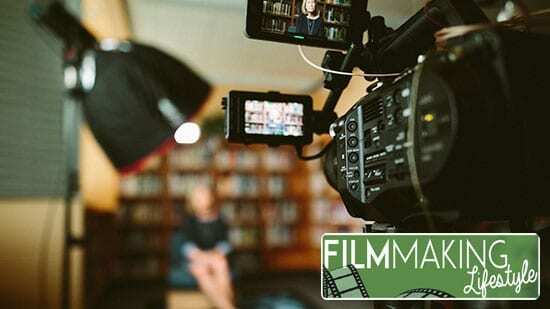 This doesn’t mean you can’t get started already and start making money with your video business (see the Quick Start Guide). I’m asking you to do a lot of research because I know research is the key to having a self-sustaining and long-lasting business. When you get really good at knowing exactly who your target audience is and you can target yourself at them effectively, you get to a point where your video business virtually runs itself. People will come to you seeking you out. The video below features one of the top modern entrepreneurs Noah Kagan talking about validating an idea before taking it to market. Kagan was a top dog at Facebook, Intel and Mint.com, so he really knows what he’s talking about. We can use these ideas he talks about here in our own video businesses. Kagan talks about important concepts that are critical in the early stages are forming our businesses. You need to get really good at researching so that you know everything about your target market – you want to know what they need and desire, what their hopes and dreams are, even what they have for breakfast when they wake up in the morning! As touched on earlier – you must work out what keeps your target client up at night? What problems do they need solving now? If you have any video business clients already, ask yourself what they struggled with before working with you. If you don’t currently have clients, become a detective and do some more research. Ask other video business owners if you need to. If you can’t seem to unearth anyone you already know from your network who fits your Ideal Client Profile, ask your network if they know anyone who fits the bill and ask permission to contact them. Then do that. Set some time aside, take them for coffee or lunch, and really spend some quality time with them. You can have all the focus, drive and good intentions to market to a group of people, but if they’re not easily reached in large numbers and inexpensively, if they don’t congregate often or they’re too difficult to locate, it’s going to make your Client Attraction attempts much more difficult. 1. Can you find them easily? 2. Is there a “list” of these people somewhere – an association of them, societies, guilds, for example? 3. Are there enough of them? Even if your target audience is small in the grand scheme of the population, there still needs to be a large enough number of these people to make entering this market worthwhile to you. 4. Do they have a problem worth solving? 5. Does this problem hurt enough? Does it affect them enough to want to seek a solution? 6. Do they have the ability to pay for your services? The dad takes his son to the big pipe where they’re adding fish to the lake. The dad puts his puts under the pipe and the fish start piling in. The man and his son get dirty looks by the other fisherman, but they sure did eat well that night! 1. Where do they congregate? 3. Do they attend any workshops or seminars? 4. Do they attend any conferences each year? 5. Do they attend any trade shows each year? 6. Where do they network? 7. Who else do they do business with on a regular basis? 8. What clubs or organizations do they visit? 9. What associations do they belong to? 10. What newsletters would they read? 11. Where will you find a roomful of these people? 12. What organization or group holds a “list” of these people? 13. Where can you reach them in large numbers and inexpensively? 14. Why do they talk to? I’ve laid out the above 14 questions with an emphasis on business-owners who you might approach to do video work for. You can, of course, ask yourself similar questions about bridal clients who you want to do video work for that will make their day legendary. With a bit of adapting these 14 questions will work for any market you want to enter and aim your video services at. I’m in the process of growing my client base and want to attract more clients like YOU. (Describe their profession, their needs and anything that makes them ideal for you.) May I ask: Where do you go? What associations do others like you belong to? Where do you network? Where do you suggest I find more people like you? What do they read? A message like this to existing clients will enable you to really understand where your clients are coming from. Once you know where the vast majority of those fitting your Ideal Client Profile are coming from, you can target all your efforts in those places in order to get more of them. If people’s eyes glaze over every time you tell them what you do, or if you’re not getting the enthusiastic response you want from your networking and marketing materials, you’ll want to spend a lot of time crafting this. Recap all you’ve done so far in order to construct your Compelling Marketing Message. To have a message that attracts clients, you need to be really clear about who your target audience is, what their particular struggles or problems are right now and how working with you solves these types of problems. How will your video services benefit your client? For instance, if they’re a small business owner, how and why will your video services boost their sales and grow their income. Best of all, you need to know what separates you from your competition, what makes you unique (and better) than others who provide similar services. Once you’re clear on that, all of your marketing communications can start attracting clients. I know I keep harping on about this, but it’s important to be very specific. Answer the following questions completely. This will be a culmination of all the work you’ve put in so far. 1. Describe your Ideal Client. We went through this in the last section of the guide. 2. Describe their struggles, their problems, their obstacles and what they’d do anything (and pay anything!) to get rid of, improve or get. 3. What’s holding them back from moving forward on these obstacles or problems? What’s not working for them currently? 4. What results can they expect from working with you? What problems will be solved? 5. Who are your competitors in helping your target client with their struggles? 6. What makes your services unique? What do you offer that they don’t? How do your services create better results? 7. How specifically will you help them with their struggle? What specific steps will you take them through to help them solve their problem? 8. List several benefits your clients will receive from working with you? How will their business or life be improved? I’m sure you’ve had the dubious distinction of opening up a huge box of “stuff” from Ikea. It often seems like it’s a struggle against the vagaries of the world as you try to turn the huge box of screws, nuts and pieces of wood into that perfect looking cupboard or chest of drawers that’s on the front of the box. That’s a little bit like what happens when you sit down to construct your Compelling Marketing Message. You should grab yourself a large pack of 3×5 cards (you know, the kind that people write speeches on), and arrange a number of them on a table. From here, you want to note down every benefit, promise and fact about your business. You should take some time with this and end up with a whole heap of cards. This is great way of constructing your Compelling Marketing Message, as it’s essentially a brainstorming session about your business. Now lay out the cards in the order that best displays what you want to say to your target market. Throw out the cards that don’t make sense in the grand scheme of things. They might come in handy in other marketing pieces, though, so don’t literally trash them! If you do this right, this should help you with a lot of the pieces of your Compelling Marketing Message that we’ll cover in later sections of this guide, like the USP, the sales strategy and the tagline. Doing a brainstorming session like this is so integral to the success of your video business and really getting down deep into understanding what you’re offering and how you can help your target market. You can even brainstorm with another person. It doesn’t necessarily have to be a business partner (or someone involved in your business), but the more business experience this person has the better. 1. Get some 3×5 blank cards and lay them out in front of you on a table. You know you’re doing this right when you don’t have much room left on the table you’re looking at! 2. Brainstorm everything you know about your video business and what you want it to be. Write down every benefit, promise and fact about your business. Be fearless and don’t worry about editing or self-censoring at this time. Just get down everything you want your video business to be! 3. Keep in mind the questions I gave you in the above section labeled Construct Your Compelling Marketing Message. Answer those. 4. Prioritize the cards into importance for your video business and what you want to provide to your target market. Throw out the ones you don’t need at this point, or what doesn’t make sense right now. 5. You will have a message of around 3 sentences that describes what your video business is all about. With all of that done, next it’s time to move on with the more nitty-gritty aspects of constructing your marketing message. Before we do that, hopefully you’ve found this article on videography marketing helpful. 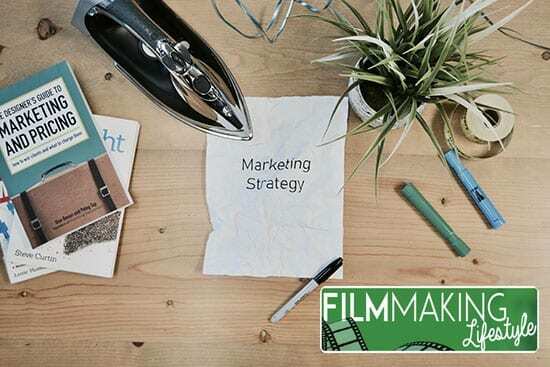 What video production marketing strategies are you going to use? Let us know in the comments right below here. That list of 14 questions is a great resource. Also, if you are not going to research the audience that you hope to reach, what are you wasting your time with, right? Glad the 14 questions were helpful to you. Thank you for a great commentary on pricing. Keep up the good work! Thanks for the comment, olaoye. Really appreciate it. My pleasure, sbonelo. Glad you got a lot out of the article.